Hola, Amigos. Cinco de Mayo is staring you in the eyes and I hope you’re ready to take it on. If you’re not quite there yet, I’m here to help with a seemingly cliche, yet damn tasty, tequila post. I got two samples bottles a while back that I’ve been enjoying for the past weeks and really need to let you know about. They’re both really great products and would play very well with whatever you have planned for Cinco de Mayo. Clase Azul Tequila Plata (40% ABV) – I opened the interesting bottle (more on that later) expecting to find another good, but not impressive, blanco tequila. I was dead wrong right from the start. The aroma is of roasted agave with bright, crisp vegetal notes and some citrus notes that are hard to pin down. The flavor is quite simply delightful. The agave is the star and this blanco is crisp, bright and lightly vegetal. There is a slight peppery quality to it and yet it’s tremendously smooth. Finally, there is a sweetness that runs throughout. The finish is all about the agave with subtle sweetness coming along for the ride. Really reminds me of the roasted agave I sampled at Tales of the Cocktail a few years back. I think the most telling thing I can offer is that I kept on drinking my sample when I was done taking notes. Just sipping it straight up. Lovely. How about that bottle though? It certainly can’t be described as plain. There are a few descriptors that have been tossed around the house lately, most of which are better not repeated here. But, the killer for me is that it’s a pain to pour, like a huge pain. That said, what’s inside is worth every bit of trauma but, be warned, you’ll be sad when a little bit drips on the counter. La Pinta Pomegranate Infused Tequila (19% ABV) – The color is crimson and reminds you immediately of the color of pomegranate arils. The aroma is nondescript and doesn’t hint much at what’s to come in the flavor. Which, on a side note, I always find interesting as taste is largely scent based. The flavor is sweet but not nearly so as other liqueurs. The pomegranate flavor is very fresh and doesn’t taste overly cooked or at all artificial. The tequila base is there, but it’s definitely a background note only. The pomegranate flavors are the star. Very tasty overall. I would use this in an instant as a stand-in for grenadine. And, that’s exactly what we did. 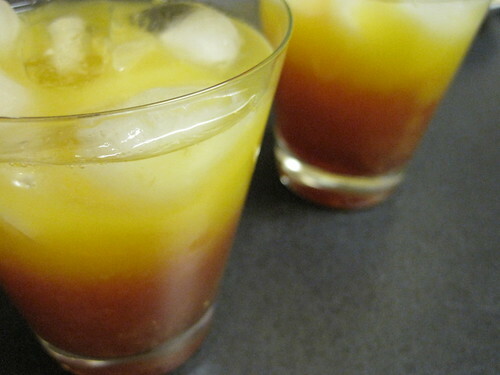 Naturally, there are a ton of great tequila cocktails I could have made (check the bottom for some links if you’re looking for Cinco de Mayo recipes), but given that I had great tequila AND a pomegranate liqueur it only seemed logical to mix up some Tequila Sunrises. The flavor was spot on to the drink made in the classic fashion and, as always, very tasty and refreshing. Enjoy your celebrations, friends. Here are a few more recipes to get your party rolling right. This is a post I’ve been mulling for quite a while and I’ve finally decided what I want to talk about. I get a lot of PR emails, to the tune of 15 or so every day, and I’ve been noticing a trend over the last few months. Low calorie cocktails, spirits, mixed drinks and malt beverages seem to be the new trend. So, here’s what I’d like to do in this post. First, I want to talk about the caloric content of alcohol itself. I think that will put us on a level playing field for discussing products, recipes, etc. Second, I’m going to review a few low calorie items I’ve received that I actually like. Last, I’ve got some general thoughts. But, before we get started a small caveat. I’m not a huge lite/diet/low-cal fan. I much prefer the “everything in moderation” plan of decreasing calories. That said, there are some good products out there. On to the hacking! That image above is ethanol or ethyl alcohol or simply alcohol to most of us. And, for those of you who know me in person, the tattoo on my left ankle. Chemically, it’s C2H5OH. But, that’s as sciency I’m going to get in this post. Let’s talk calories. A bit of math to get us going. 1 gram of pure alcohol possesses 7 calories (second only to pure fat). The density of alcohol is 0.789 g/cm3. There are 0.03333 oz per cm3. So, that means 1 oz of pure (100% ABV) alcohol has 166 calories (1 oz * 30 cm3/oz * 0.789g/cm3 *7 cal/g * 100% ABV). So, now that we’ve got some basic numbers, let’s compare. Makes it easy to see why the comparison of 12 oz of beer, 6 oz of wine and 2 oz of spirits is made so often. They all have nearly the same amount of pure alcohol. But we can’t stop simply at looking at the alcohol calories. There are carbs, fats, etc. Take Miller 64 (formerly MGD 64), it has 2.8% ABV which gives it an alcohol calorie count of 56, leaving you with 8 calories of “other”. In that example it’s likely carbs remaining from the beer wort and giving all the flavor. But think about this, I’ve been hearing about low calorie vodka lately. Pure alcohol and water, no filler…hmmm. 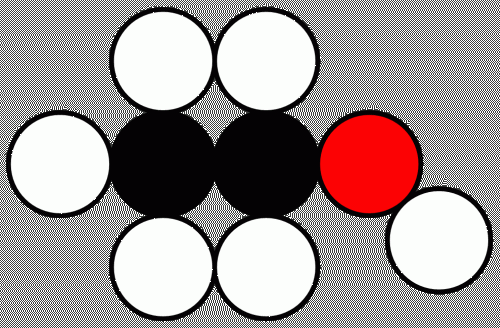 So, here’s the puzzle (hint: it’s easy), how do you reduce the calorie count of vodka? Simple actually, you just reduce the proof to say 60. Woo! 25% less calories! Bonus Round! Why would you buy reduced calorie vodka when you could just add a touch less to your cocktail and accomplish the same thing? If you answered anything but “I wouldn’t” then I have all kinds of things you can buy. Vodka is easy, it’s fermented beverages and specifically sweet malt based drinks that have it the hardest. They have both alcohol and flavors to contend with. Take Mike’s Hard Lemonade as an example. 220 calories and 5% ABV yields 93 calories from alcohol. The rest is flavor and sugar. So, the problem they have to contend with is how do you cut the calories in the flavoring without making their product too artificial tasting. Which leads to the tasty part of this article, reviews. So, from the snippet above it might seem like I’m trying to give Mike’s Hard Lemonade a bad name. I don’t mean that though. In fact, when I first started drinking in college, I drank a lot of Mike’s (read some past posts about beer for some background). So, when I got Mike’s Lite samples, I was excited to taste the new ones but a little worried that the flavor might be chemically and artificial. 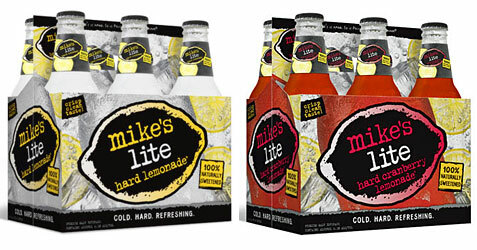 Quick review, they’ve got two flavors and they’re both tasty, but my favorite is the standard Mike’s Lite. Mike’s Lite – Light, refreshing and lemony. Sweet without being cloying or artificial with a solid hit of sourness. The flavor is surprisingly natural and the malt base blends great with the lemon flavors. The best part it’s sweetened with stevia and the calorie count is cut to 109 while keeping 4.1% ABV. Mike’s Lite Cranberry – Sweeter than the standard Mike’s Lite with a bit less sourness. The cranberry flavor is distinct and, like the standard, natural tasting and quite refreshing. Also 4.1% ABV but a touch more calories at 119. The next low-cal product I’m actually fond of is one that is even harder to make low cal and still great, cranberry juice. When you’ve got no alcohol to reduce the only thing you can change is the sweetener. In the case of Cranberry Naturals from Old Orchard they’ve swapped some of the sugar for stevia and the result is really tasty. I decided to try this one in some cocktails since that’s really what this blog is all about. Cape Codder (2 oz Vodka, 3 oz Cranberry Naturals, Lime Wedge) – Fresh and crisp with a distinct cranberry flavor. The sourness from the lime really brightens the flavors. This drink is a great, refreshing highball and super simple to throw together. Cosmopolitan (1 oz Citrus Vodka, 1 oz Triple Sec, 1/2 oz Lime Juice, 1 1/2 oz Cranberry Naturals) – Sweeter and citrusier (It’s a word. I should know, I made it up myself). The alcohol flavor is very light which is good, but bad. These could go down really easily and repeatedly. It’s easy to forget why this cocktail is so popular until you mix one up for yourself. The key point from having tasted all of these cocktails is that the stevia isn’t really noticeable at all. I think the cranberry tartness plays a great cover masking any hints that there is non-sugar sweetener in there at all. 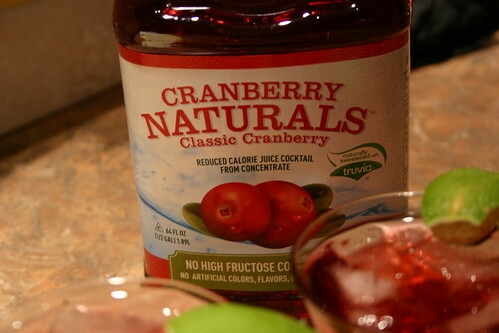 To top it all off, there is 40% less sugar and calories than regular cranberry juice. Only 80 calories per 8 oz serving. This is another one that I was a bit worried about at first. I got up on my cocktail high-horse for a bit and started thinking about how cocktails shouldn’t be low-cal, and blah blah blah. Truth is, I’d much rather see you enjoy a cocktail that’s low-cal than not have a cocktail at all which is definitely the point of this book. Rather than immediately point you at diet mixers they start the book with a detailed look at the calorie content of regular mixers, spirits, beer and wine. 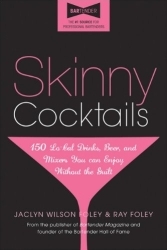 From there they jump into recipes ranging from 50 calories (a light cosmo with less alcohol) on up. The Crandura I listed above clocks in at only 139 calories and it’s damn tasty. The point is to make a tasty drink that happens to be low in calories, not to make something sub-optimal just with the goal of making it low-cal. The best part of this book for me, is that they have a ton of classic cocktails in the mix. There’s a French 75, Manhattan and even the Old Fashioned. And, what’s better, they haven’t even had to modify the recipes with diet mixers or artificial sweeteners. They mix them just like I would, but let you know how many calories you’re getting. And, to top it off, Elisabeth had a good point I would never have thought of. The book is tiny(~3.5″ x 5.5″) and thin which means it can stash in a purse for quick calorie checks. Well played indeed. Skinny Cocktails on Amazon. Enter the soap box. I have a few last remarks that I feel need to be out there before I let you go. 1) If a cocktail tastes like crap when made low-cal, maybe it doesn’t need to be made or consumed. 2) Vodka-Soda – Are you freaking kidding me? At least pick a spirit with some flavor. Try a nice blended scotch. Same calories, way more flavor. 3) If you’re really serious about cutting calories the only true way to do it is to decrease your consumption. I’m not telling you to stop completely, but cut back. Trust me, it works.